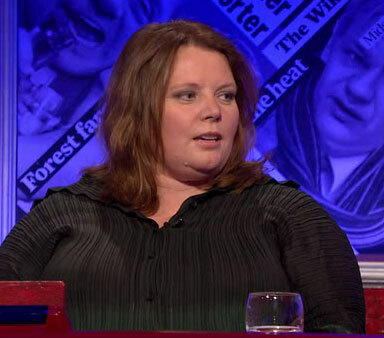 I generally don’t watch Have I Got News For You when it goes out on a Friday night, preferring to wait for the extended edition on Saturday, so I’m lagging a little here… but this week’s episode was a bit of a Getting On special, with Jo Brand hosting and Joanna Scanlan joining Ian Hislop’s team. Sadly Vicki Pepperdine was nowhere to be seen, but Brand made sure to plug their show several times throughout the episode, and even used the unsuspecting Scanlan as an accomplice in a blatant brag about her recent BAFTA win. Sneaky. It was nice to see Scanlan getting a chance to dress up for a change, considering all the dowdy clothes/uniforms she normally has to wear onscreen… but with three professional stand-up comics in the room, she was stuck with the role of straight-woman for the most part. While we’re on the subject of Getting On (and old news), I should probably mention that the show will definitely be returning for a third series. According to a (fairly) recent piece over at the What’s On TV site, BBC4 controller Richard Klein said: “I am delighted that Getting On will be coming back for a third run… Jo Brand’s Bafta only confirms just what a wonderfully warm, witty and insightful comedy this is – an all-female star cast featuring ladies of a certain age dealing with all the absurdities and realities that is the NHS, and all done in a manner guaranteed to make you laugh out loud.” Yay! This entry was posted in Rants about TV and tagged Getting On, Have I Got News For You, Jo Brand, Joanna Scanlan. Bookmark the permalink.